You are going to absolutely love this beautiful pool home on a quiet cul-de-sac in Alta Loma! With 4 bedrooms, 2 bathrooms, and just under 1,700 square feet, thereâs plenty of room for everyone! As you enter through elegant double French doors, youâll find a spacious living room with abundant natural light, custom tile flooring, a cozy fireplace, and an open flow to the kitchen. The kitchen has been remodeled and features a breakfast bar, granite counter tops, and extra cupboard space with an oversized dining area. The kitchen also has a Lazy Susan in the corner cabinet and pot and pan drawers. No more reaching over the items in front or taking them out to get to the ones in back!! If thatâs not enough, the back yard is huge and perfect for entertaining or relaxing, with a covered patio, beautiful pool and spa, garden area, shed, and still a lot of grass area left for playing. Central A/C and heat along with dual-pane windows keep you comfortable in all seasons. The bonus RV parking is perfect for toys of all sizes. 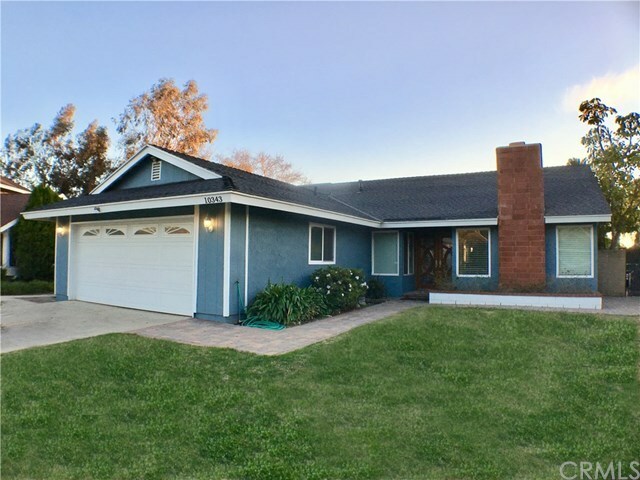 Situated close to the 210 freeway, shopping, and restaurants but away from a busy street, this home has the perfect location too! The mountain view and the glorious sunsets inspire soul and mind. Imagine all the memories youâll make and all the possibilities this home offers! Welcome home! Directions: Exit 210 freeway from Haven, go north, turn left on Alta Loma Dr, right on Revere, and left on Somerset.